Website builders are incredibly useful for both web designers with little coding knowledge, as well as business owners who want to set up a website fast, easily, and with minimum costs. Today, we decided to review Simbla and analyze not only how is this website builder different from the rest, but also see what they have done in 2016 and what their developing plans for 2017 are. Simbla was founded in 2013, for the purpose of providing a smart and easy website building solution for all kinds of businesses. This website maker has all the features required by a website builder, and more! It comes with a wide variety of templates you can choose from, for any kind of business and any need. All the websites are fully responsive, which means they will adapt to any resolution and platform automatically, be it Laptop, Tablet, Smartphone, or Smart-TV. It offers hosting, search engine optimization, perfect coding, user-friendly interface and it’s planning on expanding its features, even more, this year! Below, we’ll detail some of its most important features as well as tell you how this website builder will develop in the future and what new additions you should expect. No installation required! All you need is to sign up and get instant access to the site. This platform lets you build websites that will look perfectly on all browsers and devices. All websites are stored and backed up on Simbla’s secure servers. Fully responsive! This platform uses Bootstrap3 cutting edge technology. This means your website will have the ability to change its appearance and layout, based on the screen size on which it is displayed. Drag and drop website builder. Simbla uses an advanced Drag & Drop interface. It’s very intuitive and all you have to do is “drag” an object/ element and “drop” it to the desired location. With this convenient interface, no coding knowledge is required. Professional bootstrap website templates. 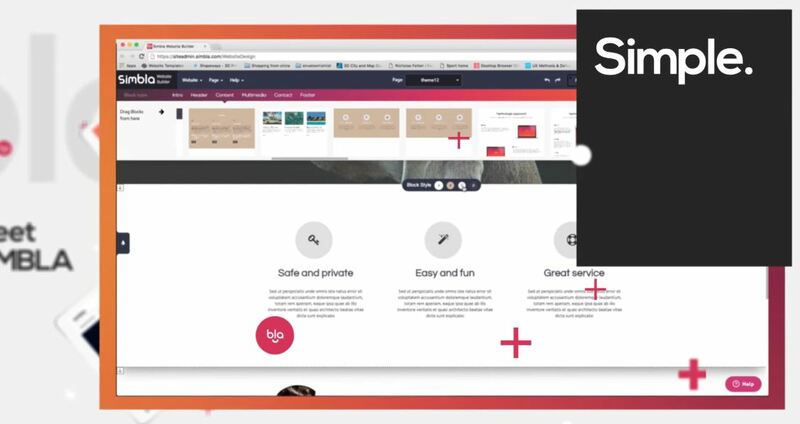 You can easily build attractive websites with Simbla. 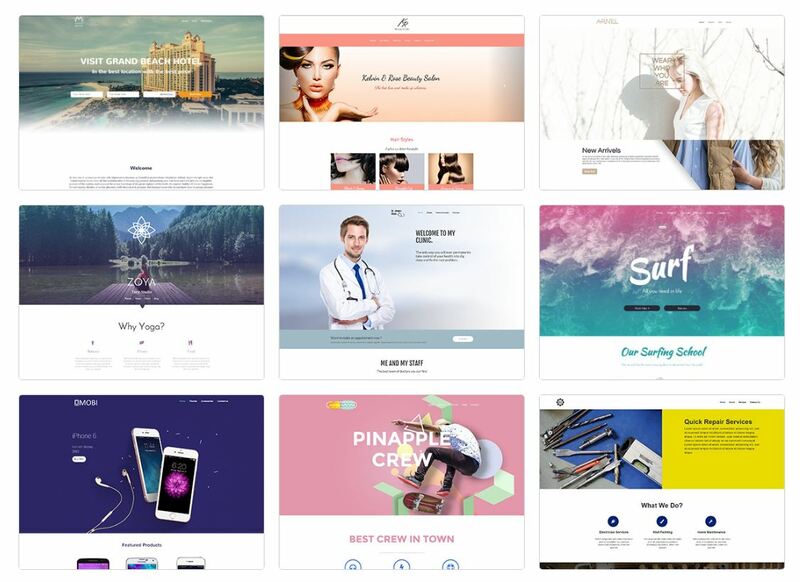 This website builder comes with a bunch of ready-made templates, tailored for your business. You can then customize your template according to your needs. SEO. Simbla’s sites are HTML5, which search engines, like the most. Also, it comes with an automatically generated site map in XML format, 301 references, metadata, friendly URLs, and easy sync with Google Analytics. 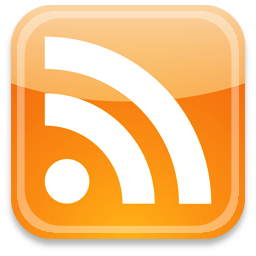 Online database builder. You can create and manage your own online database in an all-in-one cloud-based platform. This means you are able to create database-driven websites or professional web applications in no time and without any coding skills. Web application builder. Create and edit web applications that automatically communicate with your database. Manage everything from a fully responsive, drag and drop UI environment. At the beginning of 2016, Simbla launched the “website wizard” and the block method. These introduced to the platform effects such as parallax scrolling, background video and many other. They also upgraded the builder by adding an online database system that allows the user to create dynamic databases and connect them to websites, all in just one click. Simbla also introduced many web widgets that preform different actions between the website and the database. 2017 is going to be an exciting year for Simbla, as they are planning to differentiate themselves even more from the other website builders on the market. They are going to allow users to integrate different web applications using the builder. The whole system will be dynamic and the user will have full control on how the apps will look, behave, and work, both on the user interface and on the admin interface as well. All of the apps will use the database and its abilities. 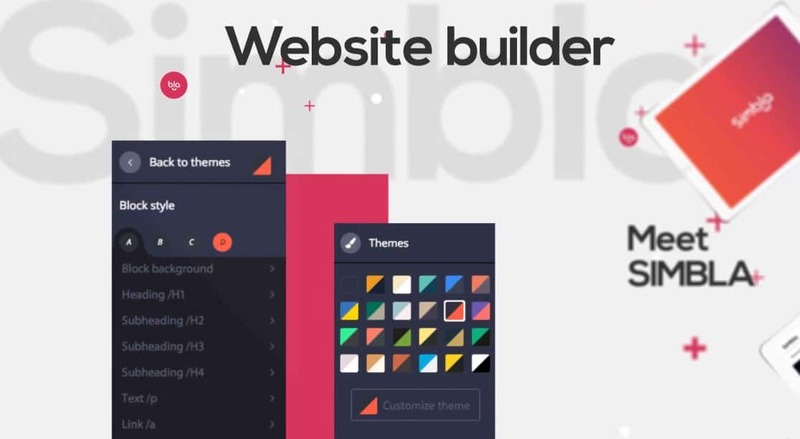 Simbla will soon transform into being the first website builder to offer a complete business solution, for both websites and web apps. New Year’s Offer | Get 75% off! Simbla has a great deal going on right now. You can receive a 75% discount, after choosing one of the full-priced plans. You should enter the following voucher code NEWYEAR2017 at checkout. The deal is available only for the first year and not for renewals and will be available until the 31st of January, 2017. The offer is limited to the first 10,000 users.